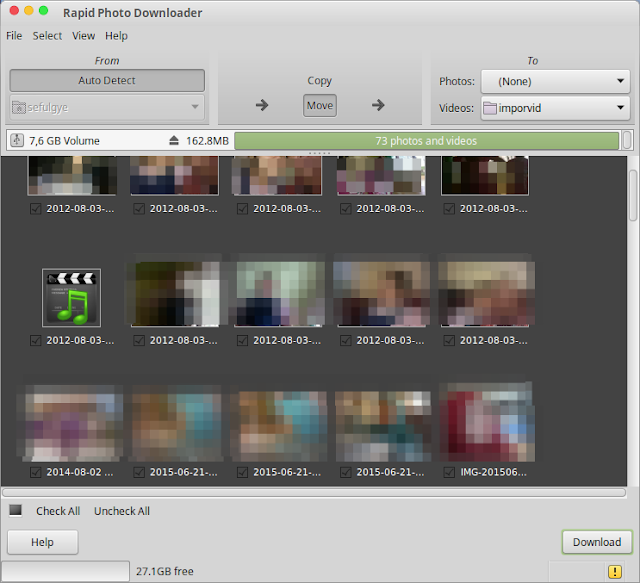 How to install Install QGifer on Linux Mint 17.x (Convert Video to GIF on Linux) -Tested and it is worked! With QGIfer you can convert video to animated gif on Linux using easy GUI interface. You can convert any video such as FLCV. MP4, MKV, AVI and many more video to GIM animated image. This is the best video to gif converter software for Linux since it is only one video to GIF software on Linux. 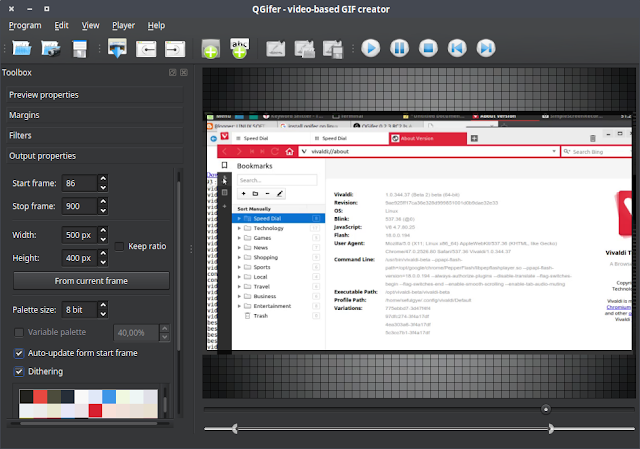 QGifer is a free open-source Linux software developed to extract GIF image from the videos. Also, it permits the users to edit the color palette, add text, crop images, add filters on photos, etcetera. The video converter to GIF on Linux, QGifer can cut the part of the video you want to GIF, so you can specify the start time and end time to convert. The latest version available is QGifer 0.2.3 RC2 which brings bug-fixes only. QGifer project software started on 2013 by Lukasz Chodyla and discontinue. This useful project continued by Arkadii Ivanov on 2015 and released the QGifer 0.2.3 for Linux. If you are using Linux Mint 17 Qiana, 17.1 Rebecca, 17.2 Rafaela, 17.3 Rosa, also Ubuntu 14.04 you can download QGifer installer from here. We have provided two package for both 32bit and 64bit on that archive. After downloading the installer file for the QGifer you can install it by double clicking on it and click the "Install Package" button on appeared window. Wait until installation completed. Now you can open QGifer after install by clicking Start Menu >> Graphic >> QGifer. 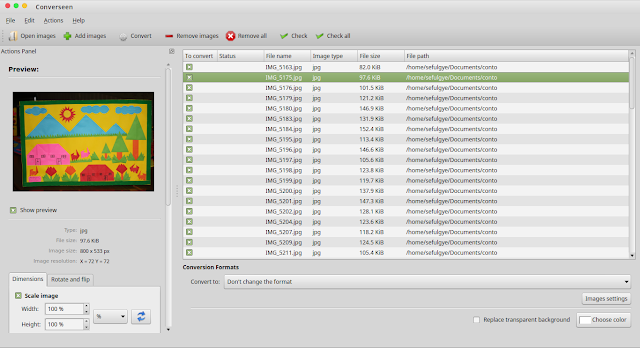 QGifer is the best video to GIF converter software on Linux. The interface is simple, the left side contain your preference and the right side is the video preview. You can set the start time and end time for the GIF, also you can specify the image size for your GIF later. You can see the GIF result from this post! KColorChoose Linux Software to Select Color From Screen. 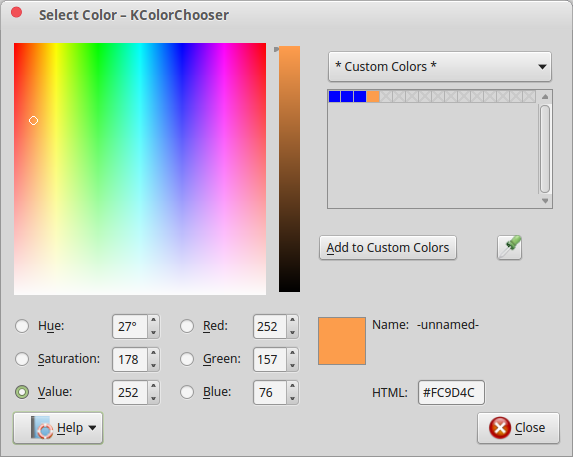 KColorChooser is a simple linux application to select the color from the screen or from a pallete. This article will guide you how to install KColorChooser and its review. Select colors from a range of standard palletes available. Color values shown in Hue-Saturation-Value (HSV), Red-Green-Blue (RGB) and HTML formats. This is a simple tool for picking up color code from desktop in Linux. Easy to use and very simple apps. Software to select color in linux. KColorChooser similiar to "Color Picker" in GIMP, but it's lighweight program to select color and the result is RGB color code such as #FC9D4C. You can also ad custom color from color selected for future usage. Inkscape Best Alternative to Corel Draw for Linux FREE to create and edit scalable vector graphic image. 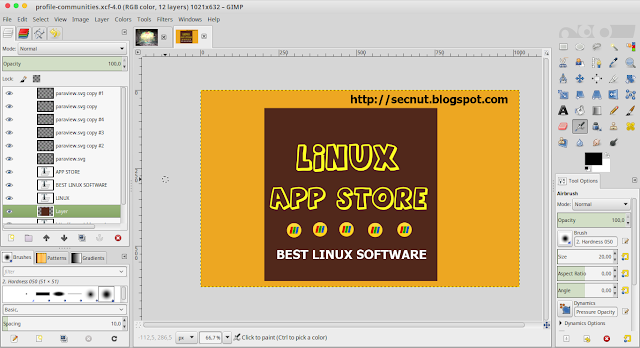 Inkscape is the the best linux application to desogn vector graphic in Linux which has same capabilities to Corel Draw and Adobe Illustrator. 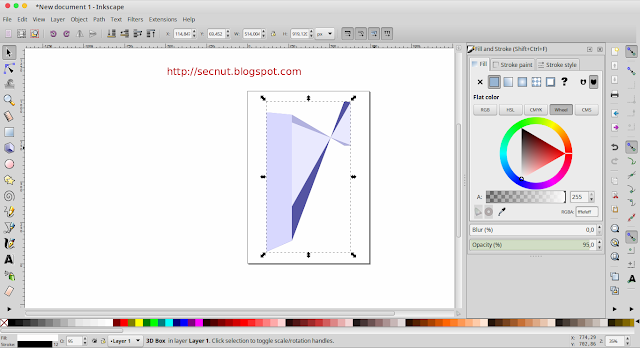 This will guide you how to install Inkscape and its review. 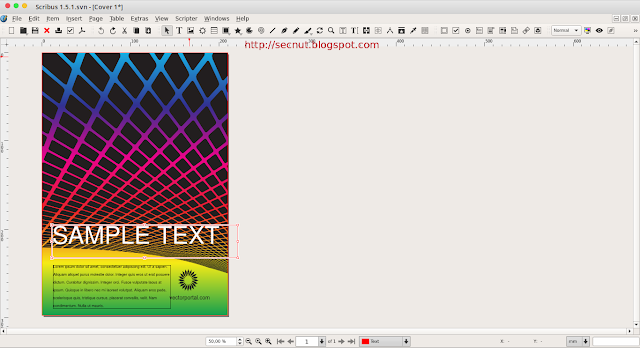 Inkscape is a free open-source vector graphics editor the replacement for Adobe Illustrator, Corel Draw, Freehand, or Xara X. What sets Inkscape apart is its use of Scalable Vector Graphics (SVG), an open XML-based W3C standard, as the native format. Creating vector graphic is easy and the software is free, you will quickly be pleased by the flexibility, and power Inkscape offers. Vector design is often the preferred method of image creation for logos, illustrations and art which require high scalability. The Inkscape application is used across a wide variety of industries (marketing/branding, engineering/CAD, web graphics, cartooning) and individual uses. For you who are familiar with Corel Draw, the Inkscape is the best softrwa to you for creating and editing vector graphic. But you need to open Corel Draw CDR file using LibreOffice Draw. Trust me it's work. 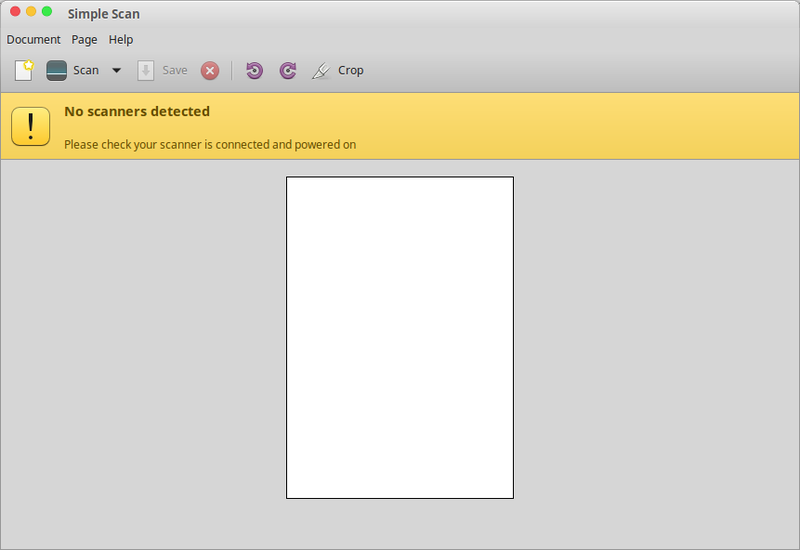 Try to saving Corel Draw file woth SVG extension first before opening the file in Inkscape! 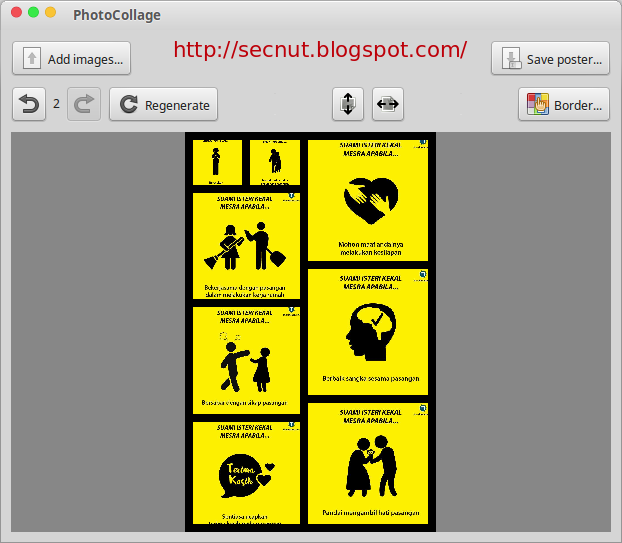 Easily Create Photo Collage in Linux Using Fotowall Free. Fotowall is an opensource creative tool that lets you play with your pixels as you've always wanted! Make the perfect arrangement with your photos, add text, live video from your webcam and the best internet pictures. FotoWall is a wallpaper generator rendering some of your favorite pictures in a nice and smooth high resolution composition. To try another photo collage craeator for Linux you should try "PhotoCollage"
Advanced: double click on resize or rotate to reset rotation/aspect ratio. Fotowall lets you design from scratch a montage of photos and word blocks. You can add special visual effects to individual photos as well as the entire canvas. This app lets you extensively play around with the canvas design. The result is stunning and personalized photo displays that can be saved as screen backgrounds or exported as poster art. Fotowall uses the steps you would follow in working with physical photos on a poster board. So you can import pictures from your own digitized collection or import them directly from the Internet. Plus, you can add text, adjust stacking and rotate as well as resize images. IGLO - Images Grid LayOut. 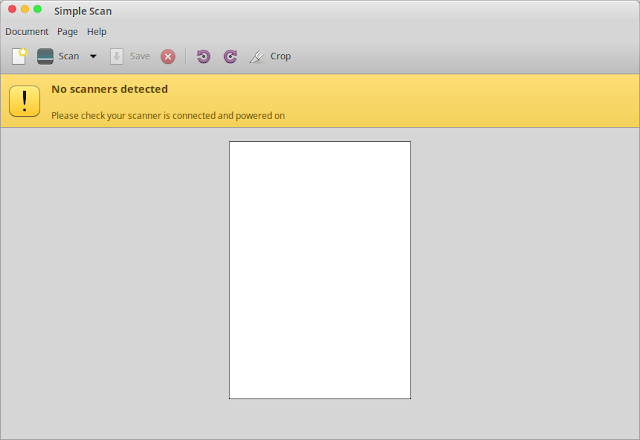 IGLO for GIMP to Create Photo Collage Grid for Linux GUI mode. GLO is a Gimp script which merges multiple images to another one with grid layout. You can use it for printing multiple photos on single paper, creating posters, wallpaper, CD/DVD covers, etc. 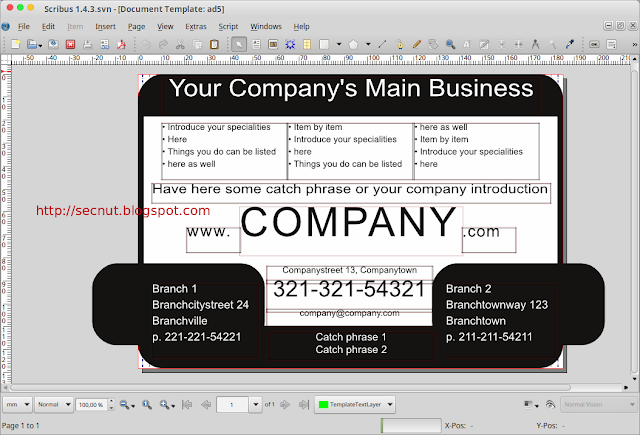 You can duplicate images in final grid to print visit-card, etc. Script uses as many as possible opened images according defined grid cell count. Size of grid cell, count of grid cell, count of rows and columns are calculated automatically, or defined by user settings. IGLO - Images Grid LayOut - Script merges multiple images to another one with grid layout. Just a tiny word of caution with IGLO. It is an old script that goes back to Gimp 2.2 although the latest version from 2009 changelog fixes some gimp 2.6 bugs. If you use common sense and keep the source images safe, I think there is no problem with Gimp 2.8. Just be careful. For instant photo collage generator you can also use PhotoCollage program. 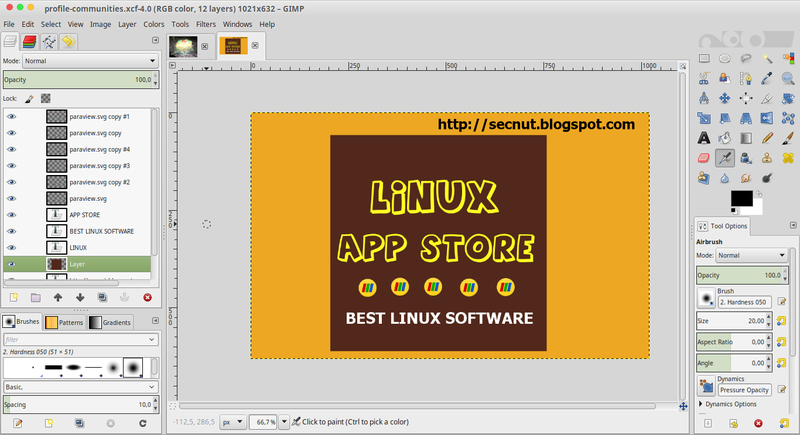 Simple and Best Photo Collage Maker for Linux Using PhotoCollage. There are many photo collage software for linux such as Fotowall which available on repository and PhotoCollage which have more functionalities and better I think. Making a photo collage linux is easy, Although Ubuntu has fotowall in its repositories, PhotoCollage make things much easier. Since PhotoCollage offer generated photo collage in a single page to print, this the best choise for you who want instant photo collage software for Linux. For you who want advanced mode for arranging photo to create photo collage then you should use the Fotowall. For advanced image editing you should use GIMP with IGLO. Make a photo collage in Linux can easily done with PhotoCollage, a photo collage software for linux. This quick tutorial is going to show you a really simple photo collage maker application called PhotoCollage. How to Install PhotoCollage and its review. PhotoCollage is a free and open source tool written in Python. It assembles the input photographs you give it to generate a big poster. Photos are arranged to fill the whole poster, however you can influence the algorithm to change the final layout. 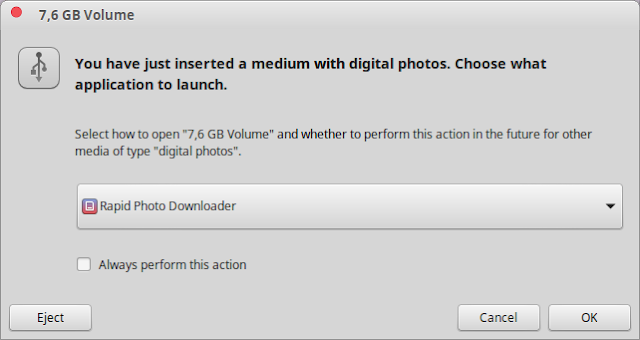 You can also set a custom border between photos, and save the generated image in the resolution you want. 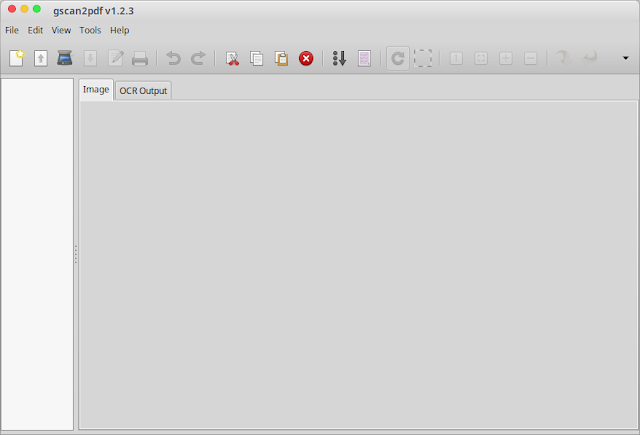 It provides a library to create photo layouts and posters, and a GTK graphical user interface. 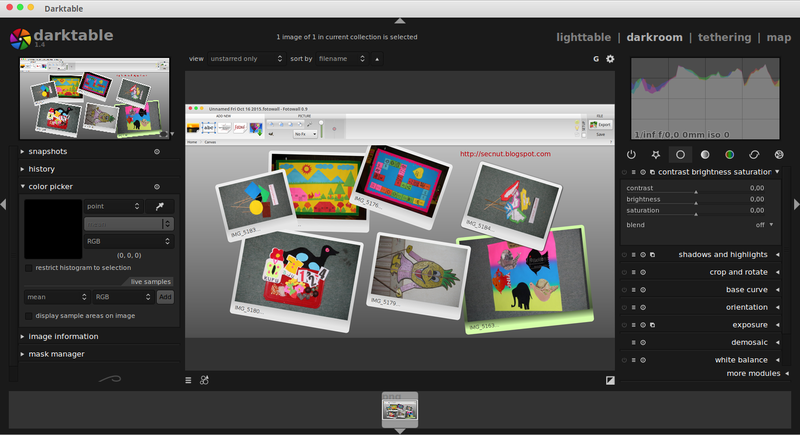 PhotoCollage is written in Python (compatible with versions 2 and 3) and requires the Python Imaging Library (PIL). How to Resize Multiple Image Size in Linux With Converseen, linux convert resize image percentage ratio. How to install Converseen and Converseen review for resizing multiple image at once! With Converseen you can convert image, resize image, rotate and flip image with numerous picture at once. Converseen is a Linux software which allows you to convert, resize, rotate and flip an infinite number of images with a mouse click in Linux and Windows. 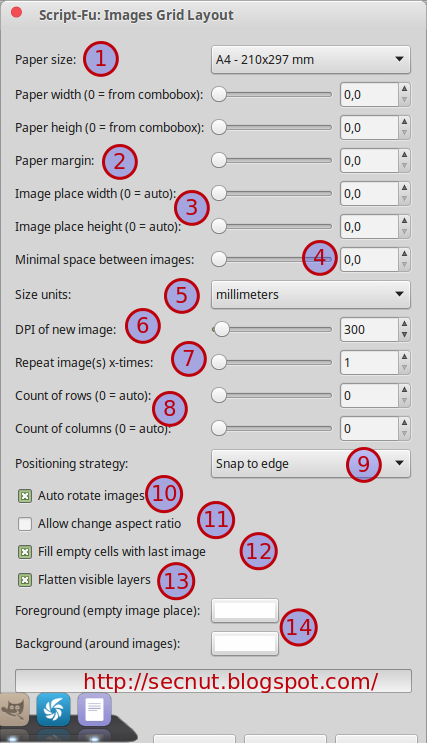 Converseen also able to transform an entire PDF file into a bunch of images with the characteristics you prefer: you can choose one of the 100+ formats, you can set the size, resolution and the filename. For resizing image or picture you can do it by using two method: first, you convert resize image percentage, and second you can resize image by pixel. The result is not stretched if you tick "maintain aspect ratio". Converseen is not only a batch picture converteer and resizer, but also includes advanced functions. 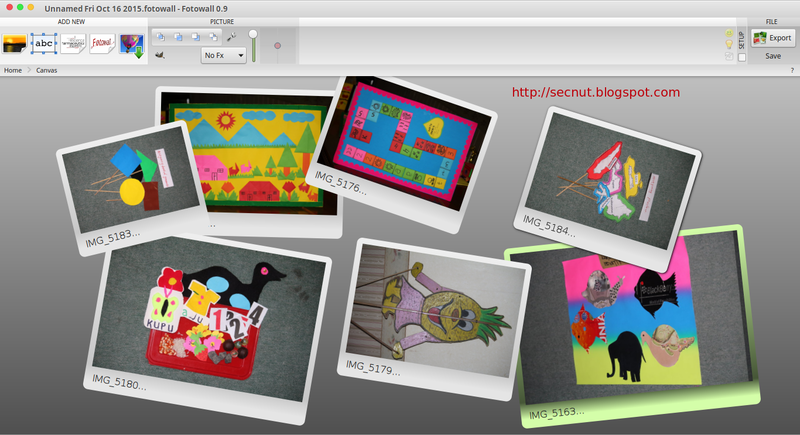 For example, with Converseen you can convert an entire PDF (or some pages of that) into a bunch of images. Converseen is very easy to use, it’s designed to be fast, practical and, overall, you can get it for free! You can always choose the dimensions and the file format in which the PDF is to be converted. Notes: you have to install ImageMagick first as a dependency. Linux Mint user don't worry about this dependency because it has been installed by default. 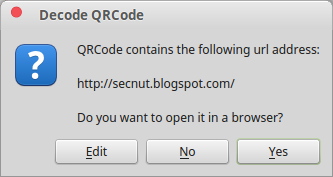 QtQr Software to Create and Scan QR Code in Linux. This application is used as QR code generator and QR Code scanner in Linux. Read completely these article below it will show you how to install QtQr, how to create QR Code and scan QR Code also review about QtQr. Generate QR Code in linux is easy with this software, if you are here searching for a linux application for creating and decoding QR codes please install QtQR from the install section (you can click the External Downloads link below) or add the PPA to your Ubuntu system. This is a Qt based software which let's you generate QR codes easily, scan an image file for QR codes and decode them or use your webcam to scan a printed one. Sound interesting? This is useful for generating URL QR codes, among other things. 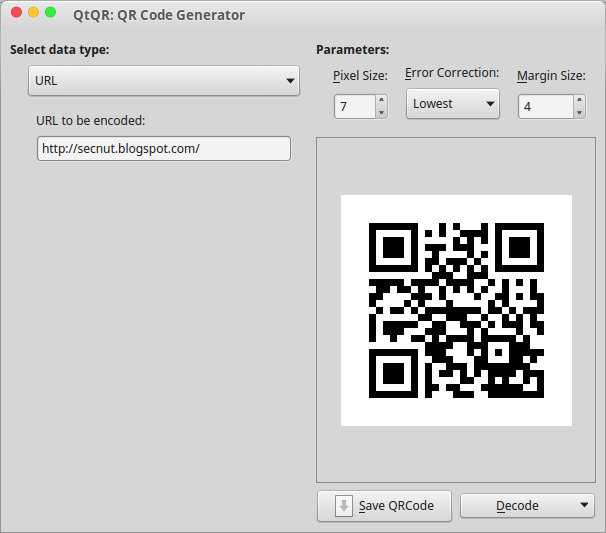 QtQr is a small and powerful linux program for creating and scanning QR code. You can generate QR code from text, email, URL adress, phone number, sms, wifi network and many more. With single click to generate QR Code is very easy to use. Recommended QR Code creator for Linux! Run your QtQr software, hit Ctrl+O to open QR code file. Or you can drag and drop your QR code image into the software. OR you can also click the "Decode" button then choose "Decode from file". You can also decode QR Code from web camera if you have printed QR code. The result is your QtQr software offer to you to visit the website. Done! 3D Max in Linux with Sweet Home 3D to Design Interior. 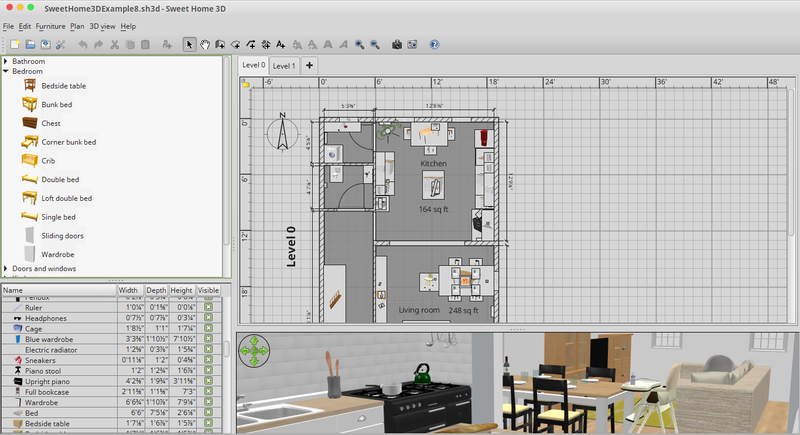 Alternative for 3D Max and Sketch Up in Linux to design home interior design you can use Sweet Home 3D! This will guide how to install Sweet Home 3D in linux and review about it. Sweet Home 3D is an open source software in Linux distributed under GNU GPL v2 license which allow you to draw the plan of your house, arrange furniture on it and visit the results in 3D. Sweet Home 3D is a free interior design application for linux that helps you place your furniture on a house 2D plan, with a 3D preview. As replacement for 3D Max, Sweet Home 3D is aimed to help people who want to design their interior quickly, whether they are moving or they just want to redesign their existing home. Numerous visual guides help you draw the plan of your home and layout furniture. You may draw the walls of your rooms upon the image of an existing plan, and then, drag and drop furniture onto the plan from a catalog organized by categories. Each change in the 2D plan is simultaneously updated in the 3D view, to show you a realistic rendering of your layout. You can download Sweet Home 3D Templates which contain hundreds of free 3D model for Sweet Home 3D and sample project designed in Sweet Home 3D. Generally low-poly (i.e. designed with not too many details for best performances), those models can be imported in Sweet Home 3D, but also used in any other 3D software able to import models in OBJ + MTL (Wavefront) format. Feel free to download these models, use them, modify them or even redistribute them, as long as you respect their Free Art license or Creative Commons Attribution license under which they are available. This is the best application which provide functionalitis to draw a home plan with its interior design and available for free in Linux, Mac, and Windows. Sweet Home 3D will produce a file called sh3d, so you can open sh3d in linux using Sweet Home 3D. The best thing that you can see: they provide many template called model which is free for download. You could also get free home design template from the Sweet Home 3d Forum.